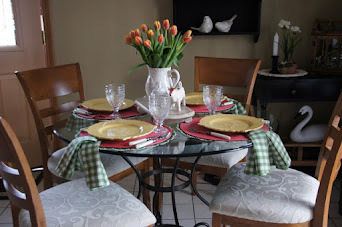 I snapped a few photos of the patio area. 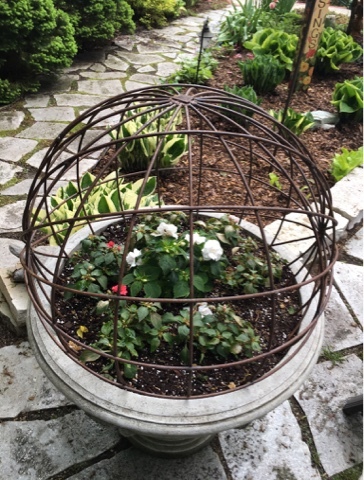 The planter with the metal orb is just about to burst with pink double impatiens. It's being stubborn! That table is a gas fire pit. We got what they called a conversation height table. This is how it looked a month ago. 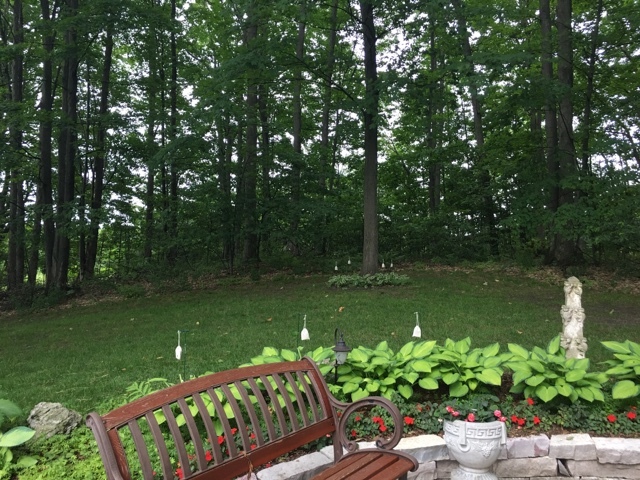 I call this my hosta hill. 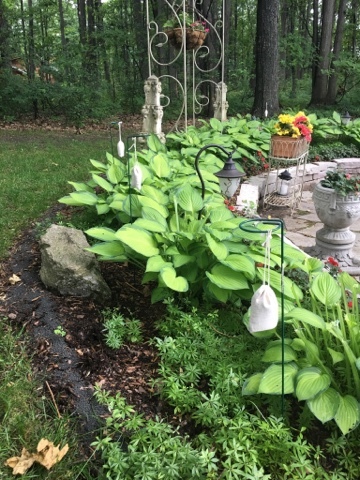 It's loaded with numerous hostas- some are the giant varieties. 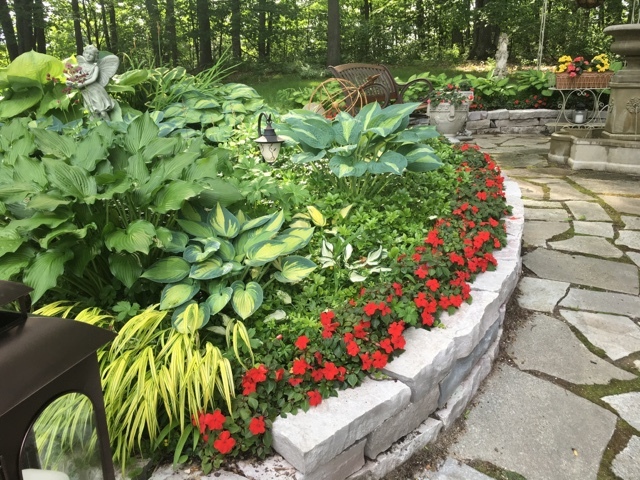 I planted red impatiens all around the hill and the fountain area. 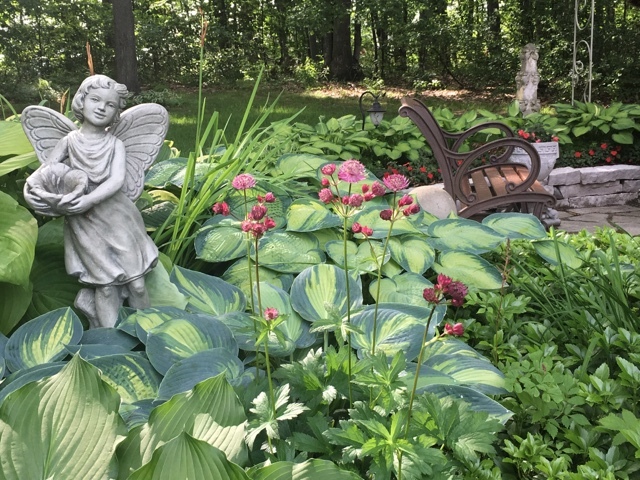 The plants you see filling in around the hostas are called Pachysandra or Japanese Spurge along with some Sweet Wooodruff which blooms a tiny white flower in the spring. 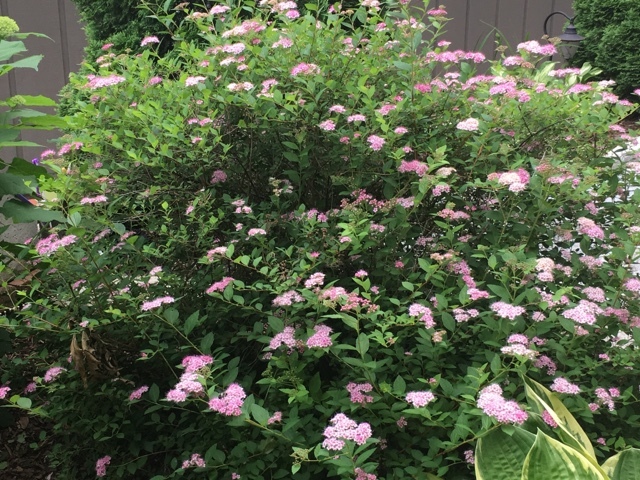 This is a great shade loving plant. The flowers continue to get larger and bloom for a good while. 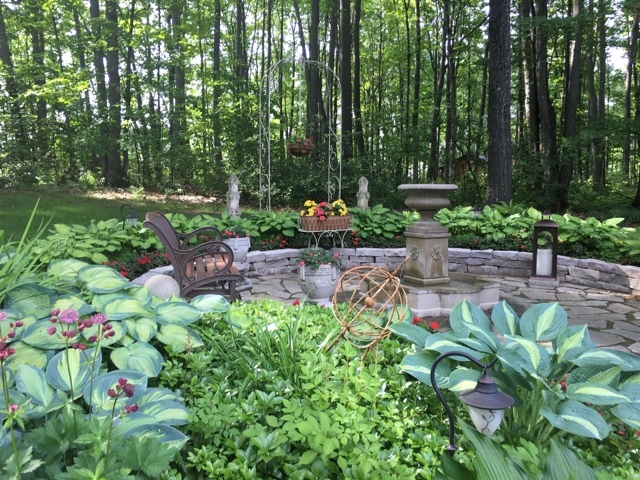 This is our garden fountain area. Dan and I did all this by ourselves in 2009. We added this walk up area with the fountain starting in May and it took us until July 1 to finish. The rest of the patio was created in 1999. 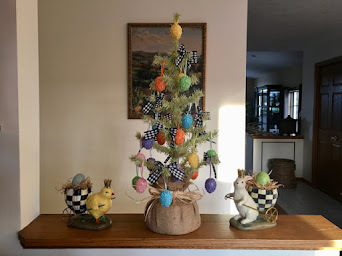 The kids were still in school and helped us put it together. We originally had a pre-formed pond in this area. 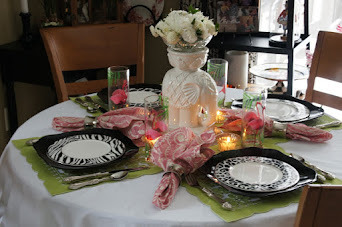 There is a post I created in 2010 showing the beginnings you can see that "here"
The big lanterns are new this year from Home Depot. 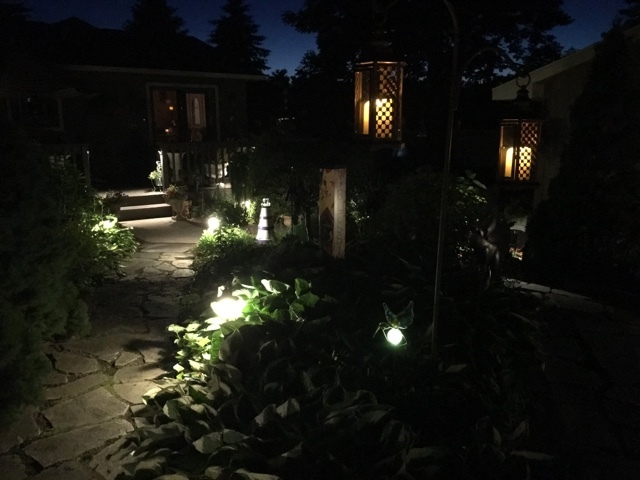 It's nice in the evenings when the pathway lights are on. So I took a walk out back to do some watering and discovered I had been raided by a deer! See the chomped off leftovers! Grrrr... in all the years I've had this garden back here I haven't had a problem with deer. So I've hung some little bags with a repellent to hopefully stop them from thinking this is their garden! We went to a local feed store and got advice from them about what to do. This is a picture I snapped one morning a few weeks back. 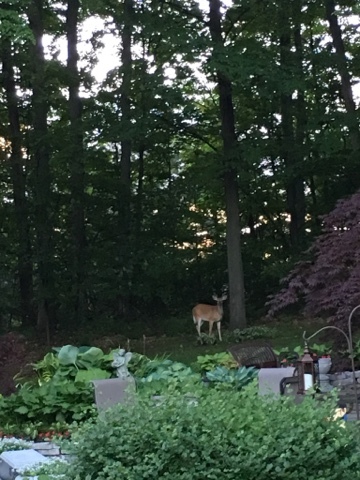 That's a young buck enjoying my hostas that are planted around a tree. I literally ran outside to shoo him away! I hoped that was enough to deter him from revisiting- ha ha! 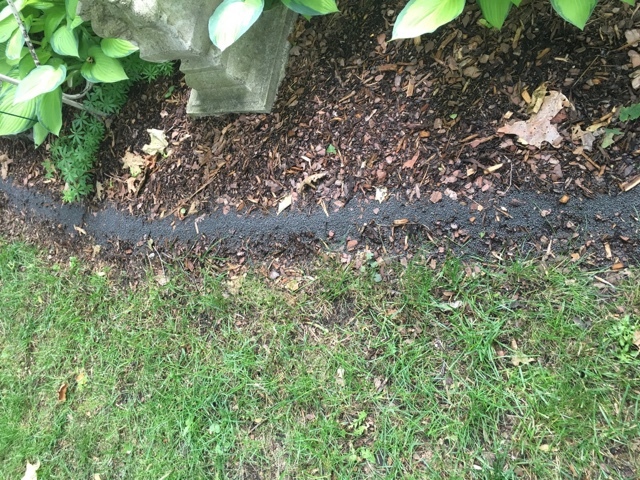 We also bought a fertilizer called milorganite that they recommended because it's stinky and it aids in turning them away. 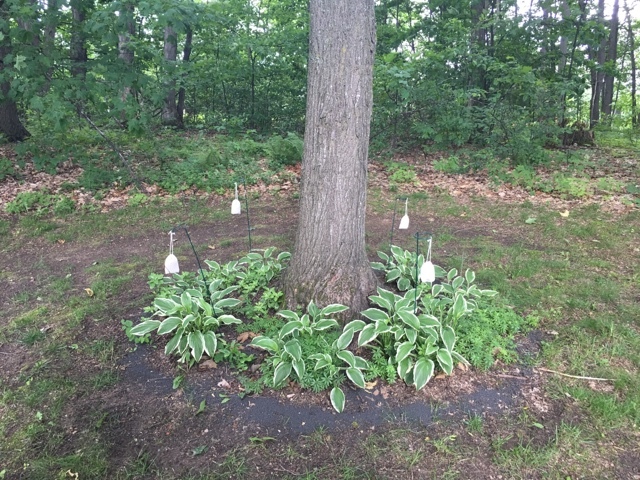 We made a ring around the tree (the black stuff) and the back of the hostas by the fountain. 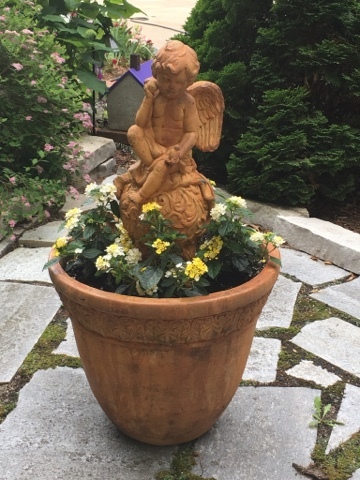 I got this cherub a few years ago and used him as a centerpiece in a different planter. We were at the same garden center where I found it and they still had a few planters that were part of the set so I decided to get it. They are deliberately finished to look old. I filled the ring around him with lantana which the butterflies love. I also put two bricks below the cherub to make sure he wouldn't sink and be stable. 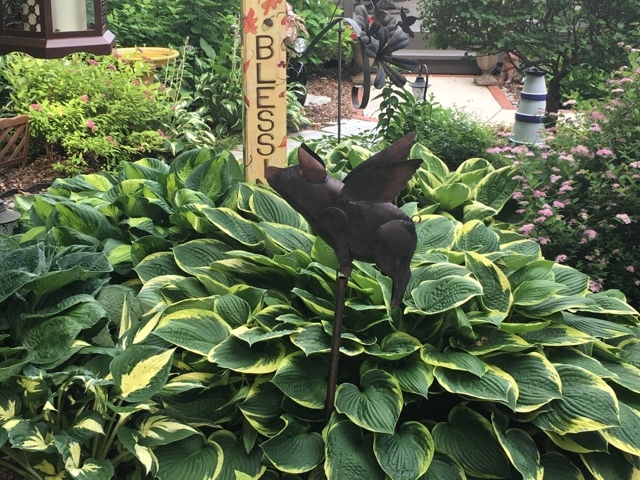 I bought this black tulip shaped planter last March when we were down at my Mom's. 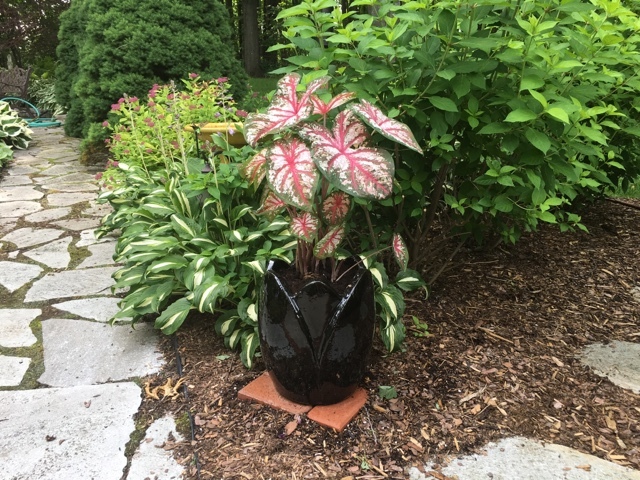 I recently found this large caladium- I was looking for some contrast against the green shrubs. I haven't had good luck with caladiums so I hope I do better this year! 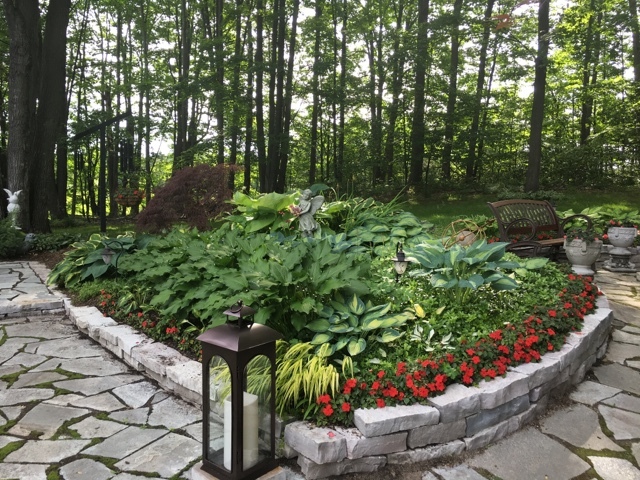 The hostas have filled out nicely. The spiraeas (this is Little Princess) are blooming around the yard too- they're a super easy to care for and tolerant shrub. The bees love them too. My first rose of the season. This is a Grandiflora rose called Queen Elizabeth. I selected it after reading about how hardy it is. It doesn't offer a great scent but it's reliable. 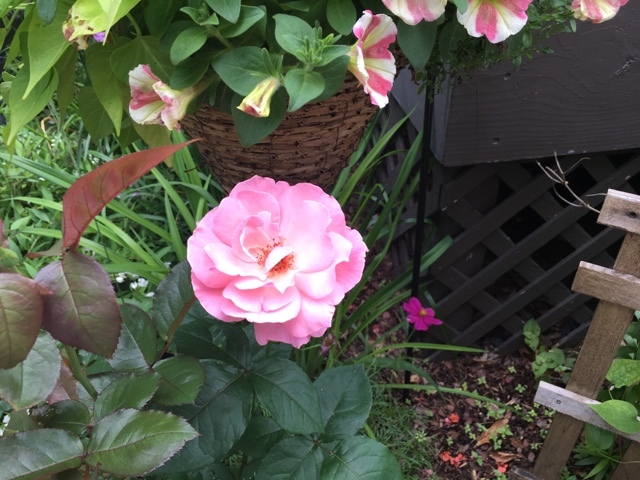 With our harsh winters I've struggled to keep roses going so I'm happy to have found one that can survive here! 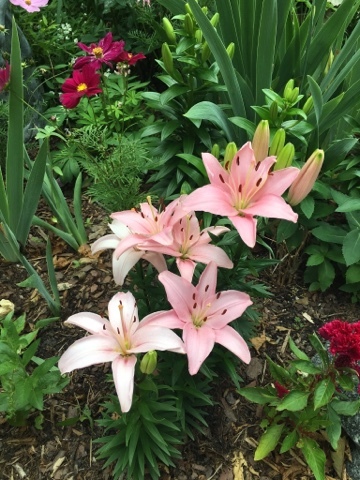 The asiatic lilies are blooming now too. These are newer ones I found at the garden center. 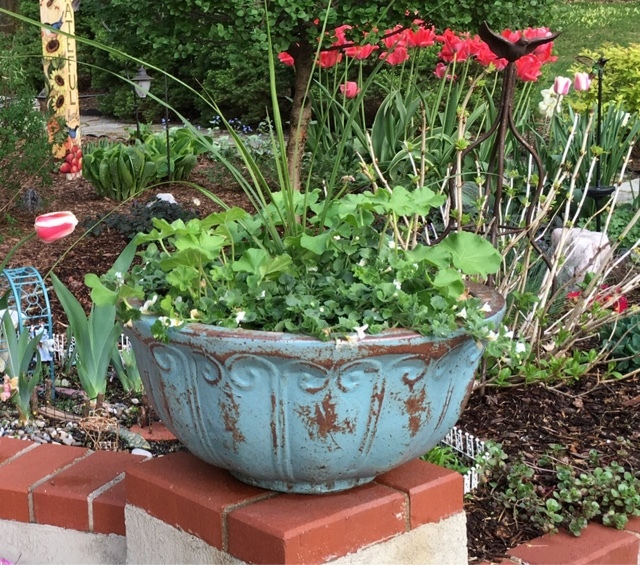 In the past few years voles have been eating them and so I decided to plant some more. 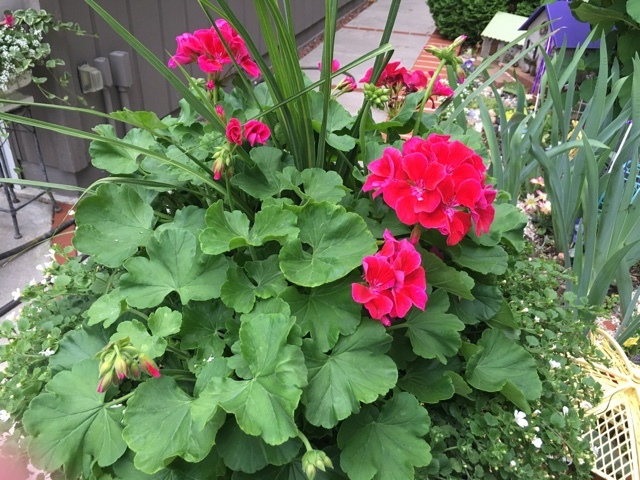 This planter has gone crazy and is blooming nicely. These flowers seem to glow! This what it looked like just after I planted it. I hope you are enjoying a great weekend and the pre-4th of July celebrations going on everywhere! Your garden is looking just wonderful. 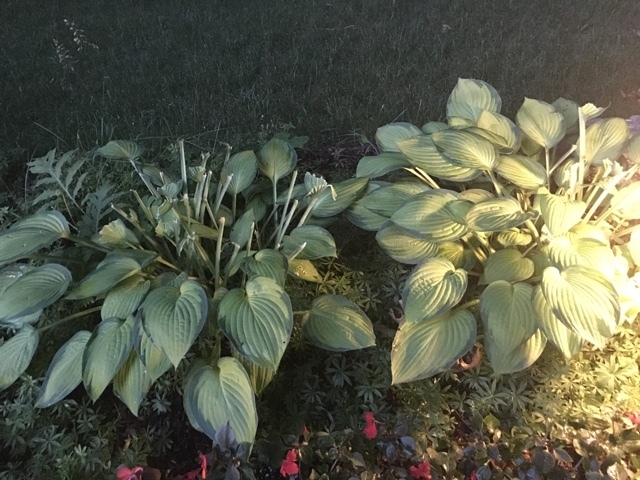 So sorry about the deer eating your gorgeous hosta's. I'm sorry to laugh when i saw that pic, but it looks like he wasn't that hungry. I've seen them take out an entire hydrangea bed before. Crossing my fingers that your divider line works! Such a lovely garden! I sympathize about the deer -- a few have told their friends that my garden is the place for tasty flowers. Never mind they have to pass a dozen yards to get to mine! Liz, your gardens are so beautiful. 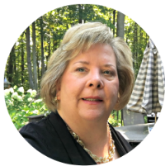 Hosta Hill is a name well deserved. I wish we had more shade here to grow them. 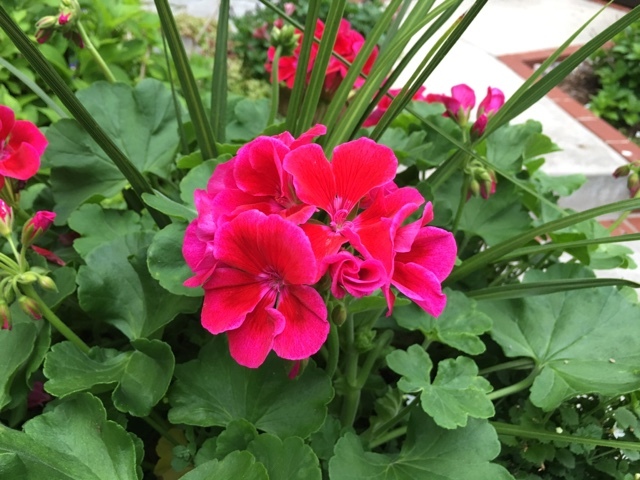 Lovely flowers to enjoy. 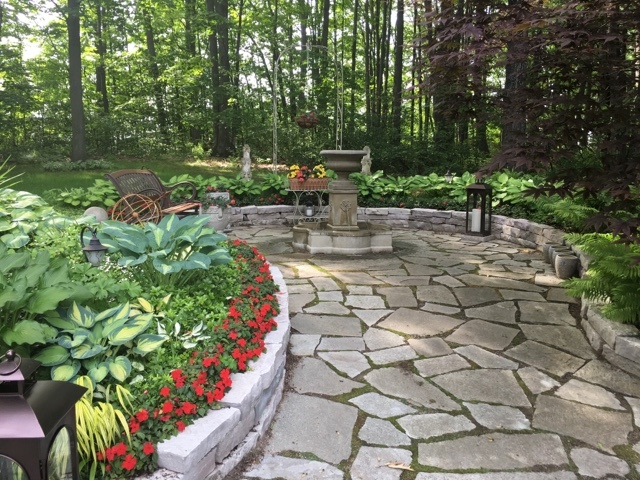 You and Dan did a great job on the patio and gardens. Thank you for sharing your pretty garden at DI&DI. Happy 4th. Oh do I remember the war of the deer we had at our last home right by a lake! We had 22 deer that roamed all around and snacked on whatever plants they took a liking to. We bought moth balls and threw them all over the ground in our planting beds. This actually worked when so many other recommendations and treatment didn't. Good luck. Your yard is so beautiful I hope they find something else to their liking and leave your yard alone. Absolutely gorgeous and the lights at night are fabulous. Just so beautiful Liz. Swooning over all your beautiful pics. LOL on the deer. Hope he ran and told his family and friends don't go to that garden a crazy lady will run at you!!!! 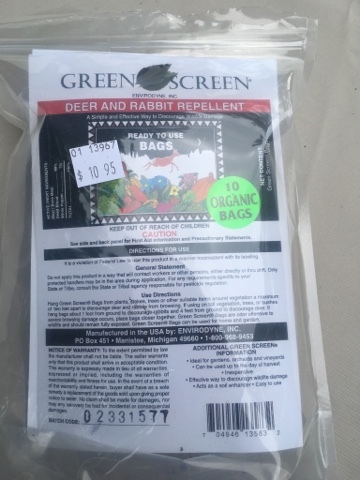 I bet your garden is hard to resist with the deer. 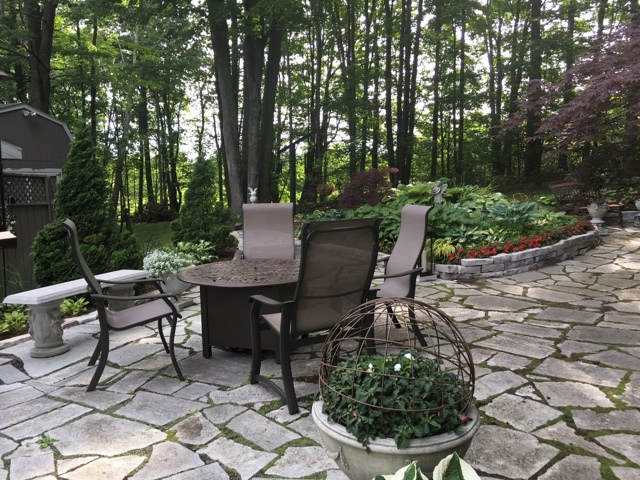 Enjoy your beautiful patio and deck this summer. 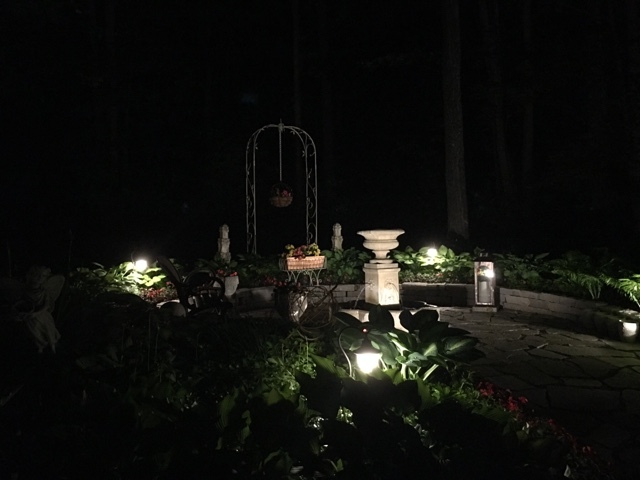 WOW!Wonderful garden!Beautiful landscape!Such happiness!Happy 4th of July! 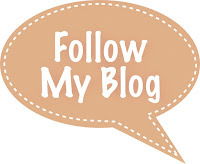 Hi Liz, your gardens are more amazing with each post. 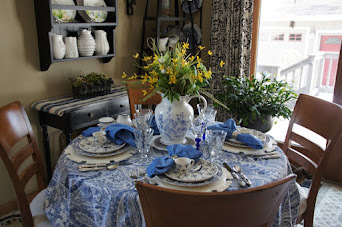 I love the lush healthy look to all your plants and flowers. 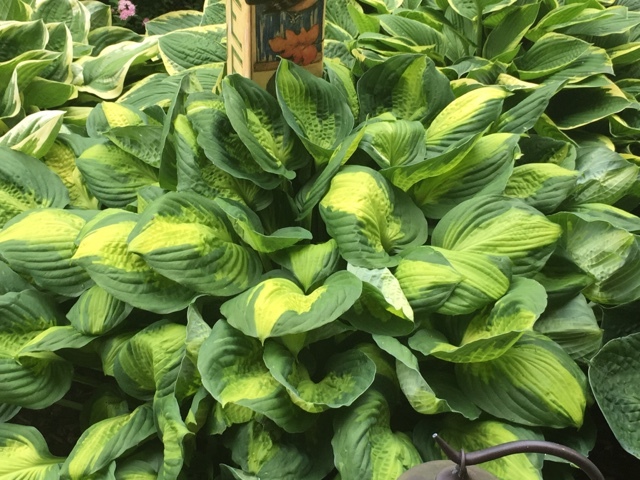 I wish I could grow hosta like you. They do fine in the spring then it gets too hot and their done!! Lovely night views. Hope you enjoyed a nice 4th. Happy summer!! So lush and soothing! 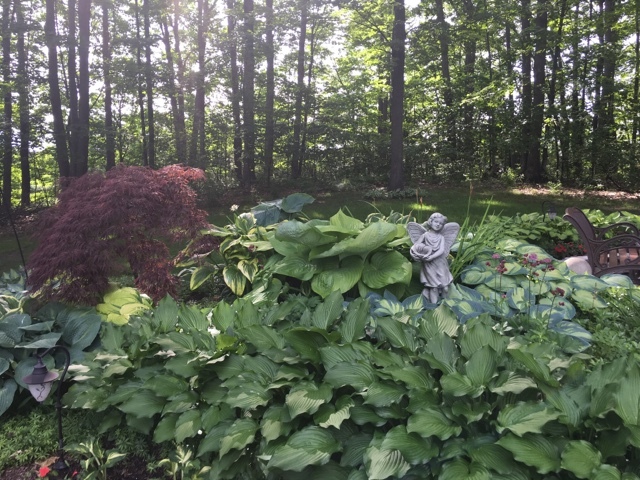 I envy your shade and your hosta bed is beautiful. Fun that you caught your hosta-chomping culprit on camera. Hope your repellent works! We Don't Skinny Dip-We Chunky Dunk! 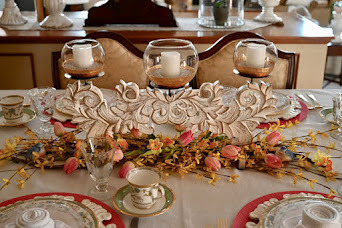 A Trip To Pitts and Phipps!